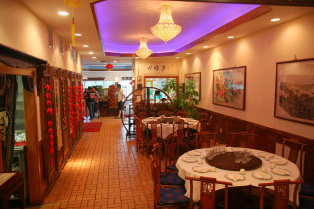 Szechuan House is among the top 100 Chinese restaurants in the United States. We offer American Chinese food to cater to the tastes of local customers, we also proudly present authenticate classic and modern Szechuan cuisine from China. With thousands of years of history , Chinese cuisine culture is extensive and colorful. Szechuan cuisine is the most popular of the eight main categories of Chinese cuisine. Wherever you go in China , you will always find restaurants offering Szechuan dishes, which are famous for its tastiness and spiciness. Indeed, Szechuan food is simply delicious. We are located in Hamilton, NJ, half a mile away from the renowned “Grounds for Sculpture”, NJ; 4 miles from Trenton, the capital city of New Jersey. It takes only a 15- minute drive to reach us from downtown, Princeton, the home town of Princeton University, one of the most prestigious colleges in the world. Those who love to travel and try new food will have the chance to taste authentic Chinese fare right in your own neighborhood without having to spend thousands of dollars traveling to China - we have foodie customers travel from as far as New York City and Washington DC to sample our dishes. As for our fellow Chinese, we hope that our food and dining environment will soothe your home sick. To enhance your dining experience, we have designed our decor with traditional Szechuan country side settings and furniture. Check out our menu for our rich offerings. We look forward to delivering you a memorable cultural dining experience.